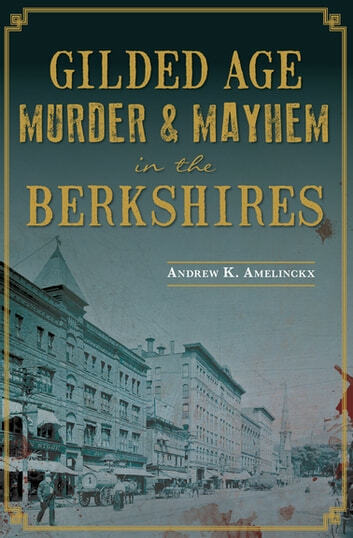 This criminal history of the Berkshires is brimming with unforgettable stories of greed, jealousy, and madness from the turn of the twentieth century. The Berkshires of Western Massachusetts are known for their picturesque beauty, but this history offers a fascinating look at the region’s dark side. 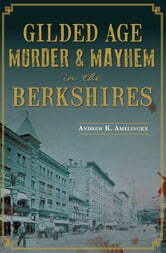 This chronicle includes true tales of greed, betrayal and violence in The Bay State. In the summer of 1893, a tall and well-dressed burglar plundered the massive summer mansions of the upper crust . . .
A visit from President Teddy Roosevelt in 1902 ended in tragedy when a trolley car smashed into the presidential carriage, killing a Secret Service agent . . .
A psychotic millworker opened fire on a packed streetcar, leaving three dead and five wounded, shocking the nation . . . These and many more stories—from axe murders to botched bank jobs—paint a stark portrait of the inequities that shadowed the extravagance of the Gilded Age.